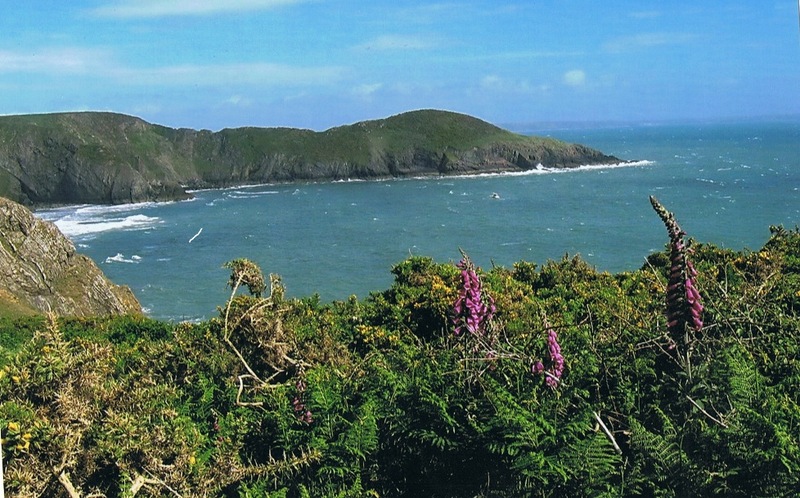 Hiking trails: five sections of the Pembrokeshire Coast Path (National Park, Llwybr Arfordir Sir Benfro) in the Southwest corner of Wales. 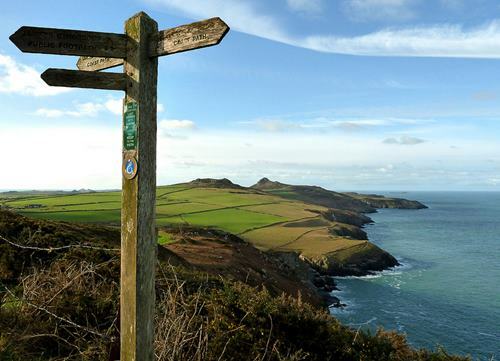 Five sections of the Pembrokeshire Coast Path (National Park) in the Southwest corner of Wales. 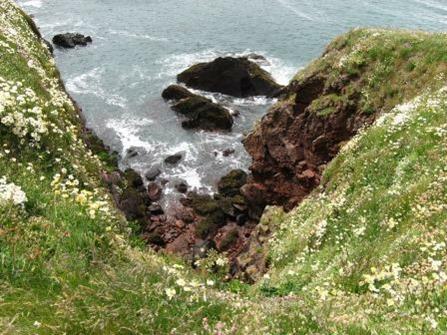 This National Trail - with an overall length of 290 km - follows the cliff tops for most of the way. With most of the time great views of the raging sea, the savage scenery of high cliffs interrupted by secluded coves and beaches. On trail some picturesque Welsh villages and towns. Getting there: a - low cost - flight to Bristol airport, transfer to the train station Bristol Temple Meads, the train to Milford Haven ( 3 hours…) and by bus or taxi to Dale (15 min.) where we started our walk. We opted for Dale to avoid the industrial areas of Milford Haven. We think that the most beautiful part of the route starts in Dale. And to have the possibility to visit Skomer Island (puffins!). 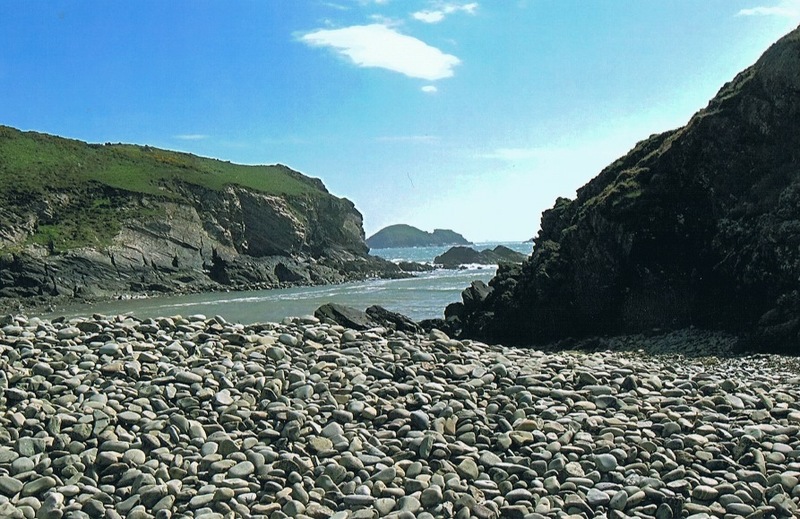 Accommodation: B&B’s and a Youth Hostel (Broadhaven).Reservations are required. Map: Ordnance Survey Landranger Map, nr. 157, scale: 1: 50.000. Sometimes you need the map. The trail is very well marked. The famous “acorn” for the trail, the “walker” for the regular foot paths. June 2013: five sections, from south to north, along a spectacular coastal area, on the one hand, and on the other farmland. Island. In high winds the boat doesn’t sail! 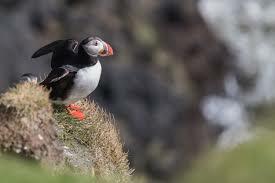 See the puffins and other seabirds! Or the seals. The bus to Haverfordwest and from here the train to Bristol Temple Meads. And the transfer to Bristol airport (next day). On trail: the path keeps largely to the clifftops. 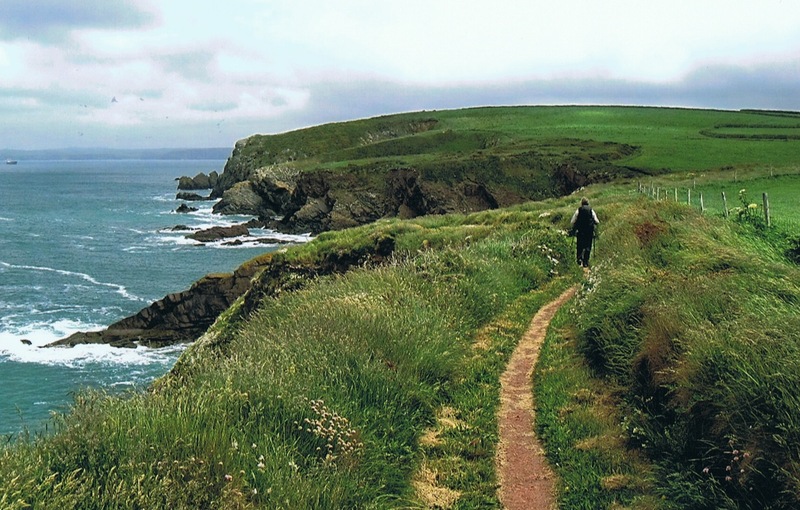 The trail covers almost every kind of maritime landscape from rugged cliff tops and sheltered coves to wide-open beaches and winding estuaries. In spring seas of flowers. On one hand the sea, on the other (old) farmland. In fact the NP is rather small, but very beautiful. 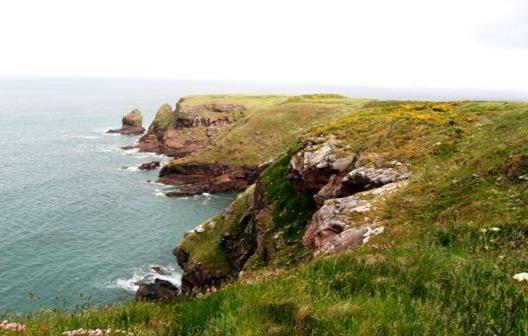 The coastline also boasts a wealth of history, with sites of interest including a Neolithic cromlech, Bronze Age standing stones, Iron Age promontory forts and a castle built by Norman invaders. On trail some nice villages and towns. 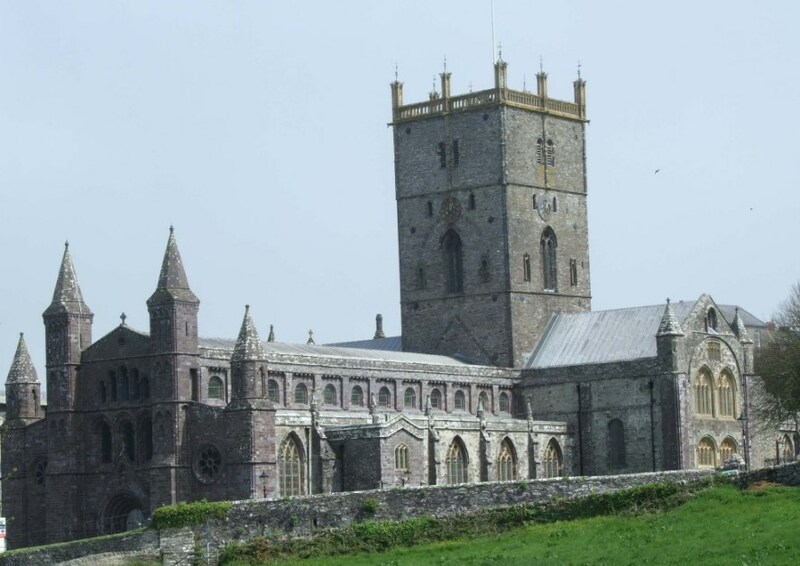 Or the castle of St Brides or the cathedral/bishops palace of St Davids. The small path is very well maintained. 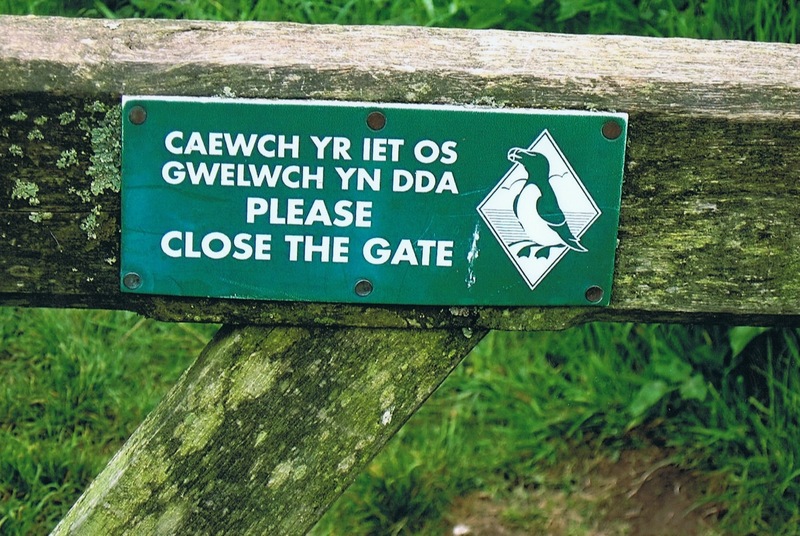 Skomer Island is a must for bird watchers. See the puffins! Or the grey seals. The Puffin Shuttle (a bus service) connects all the villages/towns on trail.